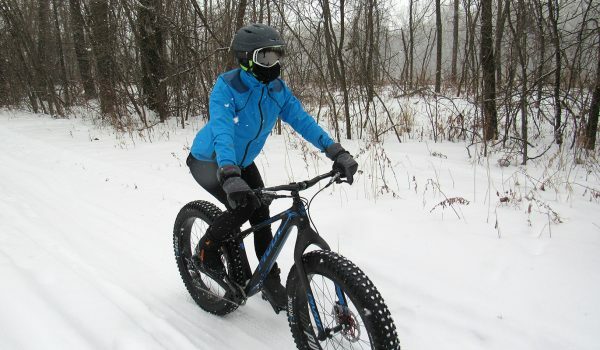 Staying out on the bike trails throughout the year requires a cycling jacket with versatility to accommodate the fluctuations in weather temperatures. Morning rides can start out in weather cold enough to require a long-sleeved jacket but warm up enough by mid-day that a vest is more than adequate. Convertible cycling jackets that convert from jacket allow cyclists to dress for unpredictable conditions. For this test five great contenders were selected from established cycling apparel manufacturers. Prices ranged from $75 to $179. 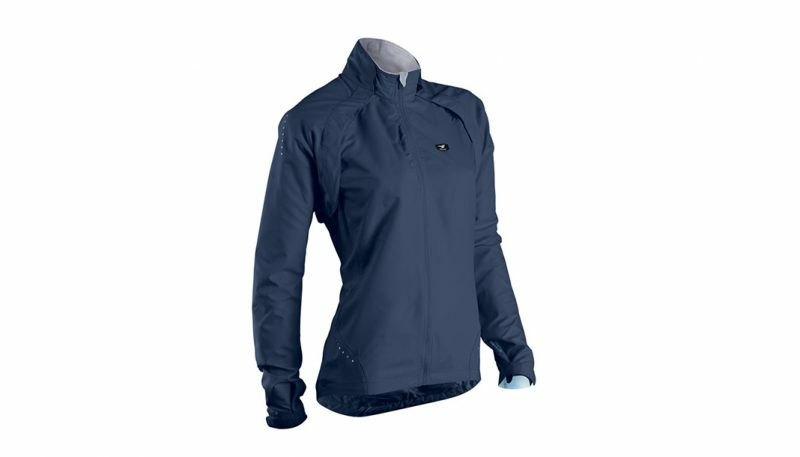 Ultimately, the Gore Element Windstopper Active Shell Zip-off Lady took Best in Class because of its impressive performance in breathability, fit/comfort, packability and durability. The Canari Optima scored the highest in this category with a nine. 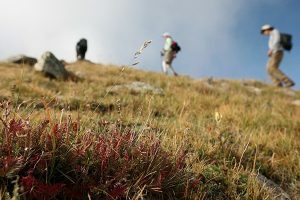 Its fabric is a wind-resistant shell that works very well in moderate wind. Although it isn’t waterproof, it is very water-resistant, easily repelling precipitation from fog drizzle and light rain better than the more expensive jackets in the test. The Sugoi Versa, Louis Garneau Spire and Pearl Izumi ELITE Barrier shared second place with a score of seven. 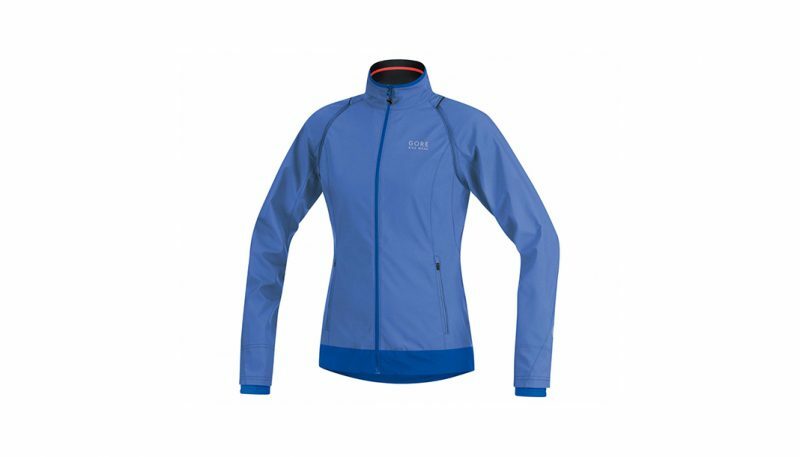 The Sugoi Versa’s fabric is a wind-resistant, non-stretch shell which works very well in light to moderate wind. However, its water-resistance is limited to the lightest of drizzles. The Louis Garneau Spire Convertible’s Polartec Power Shield Pro fabric protected our tester in heavy wind and drizzle during a week of commuting in mid-October but was heavier. The Pearl Izumi ELITE Barrier’s wind- and water-resistant fabric kept our tester dry and comfortable on rides in very light rain and drizzle but felt wind on windy days. With a score of five, the Gore ELEMENT Windstopper Active Shell Zip-Off Lady’s lightweight design worked well in moderate wind and very light rain and drizzle but our tester was soaked through after 45 minutes in a rainstorm. The Gore ELEMENT Windstopper Active Shell Zip-Off Lady and Sugoi Versa earned the highest points of nine in this category. The Gore Element contains a very thin mesh weave inner lining throughout the entire jacket, which allowed sweat and moisture to escape during light to moderate activity. The downside is that it became clammy during sustained intense efforts unless it was below freezing. The sizing of the jacket, which Gore describes as “comfort fit” provides enough roominess to accelerate the transfer of moisture from the cyclist core. The Sugoi Versa’s mesh panel on the back allowed air to circulate when wearing as a vest. When wearing as a full jacket, the lightweight nylon fabric and semi-fit provided a high degree of moisture-wicking through the arms and torso and the relaxed sizing of the jacket allowed for enough roominess to transfer moisture and keep our tester comfortable on high-exertion rides. Second place in this category was shared by the Pearl Izumi ELITE Barrier and the Canari Optima. The Pearl Izumi’s mesh vent panel on the back allowed air to circulate when wearing as a vest and when wearing as a full jacket, direct vent panels that extend from the back to upper arms also helped to transfer moisture. The Canari Optima also has a mesh panel on the back that allowed air to circulate when wearing as a vest; however when wearing as a full jacket, the lightweight nylon fabric transfers moisture most effectively only when our tester was wearing with a breathable shirt. The Louis Garneau Spire Convertible, which scored six, has waffle-weave vent panels that run down the front, back and arms to create a series of air-gaps that promote ventilation. These waffle-weave panels are then connected by stretchy panels on the outside and light fleece on the inside. This collection of panels transfers moisture from the body’s core, but our tester found that the temperature had to be very cold to achieve decent breathability due to its heavier weight. Converting from jacket to vest was the basis for this test so our tester looked at which jackets converted the easiest and fastest. With a score of nine, first place went to the Sugoi Versa and the Canari Optima, which delivers on the three key pieces of outerwear that every cyclist could need for one ride: a jacket, a vest, a shrug/arm sleeves. Switching from jacket to vest to shrug is simple thanks to a series of magnetic snaps on the shoulders and upper back. While wearing the vest, put on the shrug, hunch your shoulders and stretch your arms until you hear all magnets snap together. The sleeves are easily stashed in the back pocket. 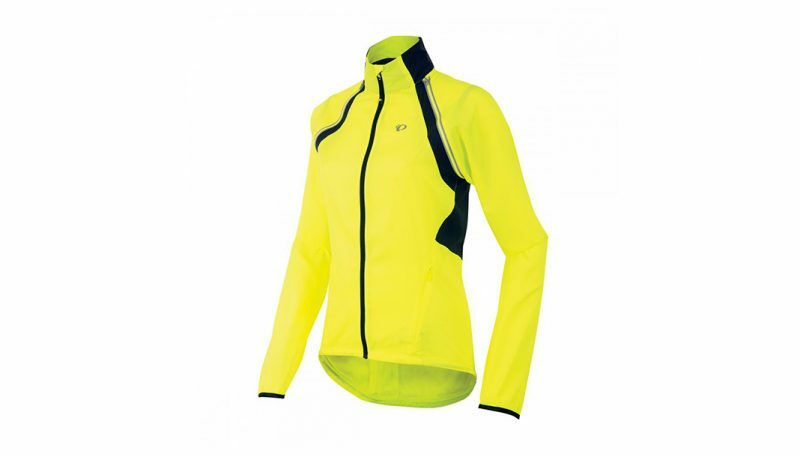 In second place, with a score of eight, was the Pearl Izumi ELITE Barrier Convertible. This, too, serves the cyclist as a jacket, a vest and a shrug/arm sleeves. 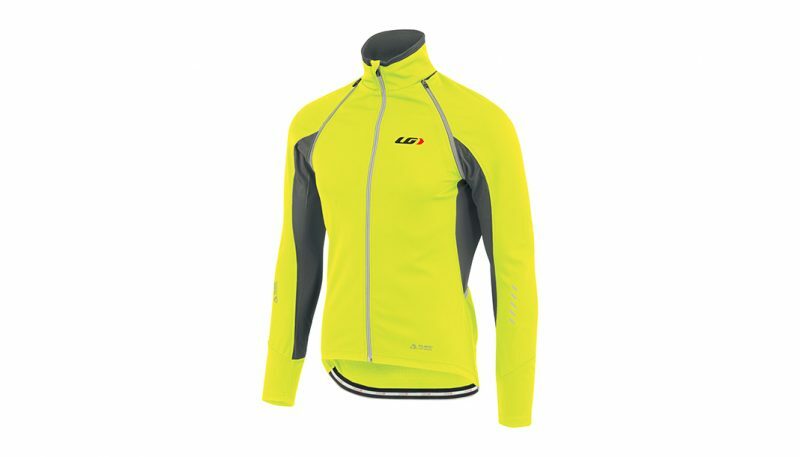 Removing the sleeves from the Pearl Izumi ELITE Barrier Convertible is easily done while wearing the jacket. However the zippers and the three Velcro patches on the back below the collar have to be lined up perfectly to re-attach. The tester found that it was difficult to re-attach the sleeves while wearing the jacket. The main zipper is easily grasped with full fingered gloves, but the pocket and shrug/arm sleeve zippers are too small to grab while wearing gloves. 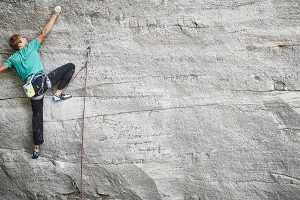 With a score of six third place went to the Gore Element Windstopper Active Shell Zip-Off Lady. 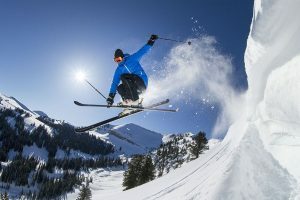 While the jacket and vest are interchangeable via a system of four zippers, switching from jacket to vest and back to jacket requires practice and cannot be done on the fly. Each sleeve is attached by two zippers that are a challenge to detach and reattach while wearing the garment. It is easier to remove the jacket to unzip the sleeves. Because the zippers are tucked under a flap of fabric at the top of the shoulder and have small pull tabs, it is impossible to work the zippers while wearing gloves. The Louis Garneau Spire Convertible, which scored five points, provides the cyclist the option of a long-sleeve and short-sleeve jacket. Sleeves are attached via a sturdy zipper. Removing the sleeves from jacket could be done while wearing the jacket but reattaching the sleeves required our tester to remove the jacket, line up the zippers and then feed the short jacket sleeve through the detached sleeves. All jackets in this category were comfortable and fit well. Each were able to accommodate a range of baselayers with arms that are long enough to fully cover our tester’s wrists while stretched over the handlebars without constriction. All jackets but the Canari Optima scored an eight; the Canari Optima scored a seven. 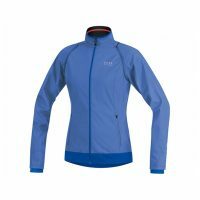 The Gore Element Windstopper Active Shell Zip-Off Lady and the Sugoi Versa each have soft fleece lining the collar to wick moisture on high exertion days and add warmth to the neck on cooler, low-exertion days. The Windstopper Active Shell fabric of the Gore provides enough stretch for a comfortable fit regardless of the position of the cyclist on the bike and the Sugoi Versa has a mesh panel on the back that provides good ventilation. The Louis Garneau Spire Convertible and the Pearl Izumi ELITE Barrier Convertible each have a tailored fit but the arms were still long enough to fully cover our tester’s wrists while stretched over the handlebars. However, our tester found that the best fit and comfort level was when wearing a thin cycling jersey. Thick jerseys, or mid-weight merino wool baselayers, made the Louis Garneau Spire Convertible feel too snug in the shoulders and upper arms. Fortunately, the heavier weight of the jacket’s fabric kept our tester plenty warm with a lightweight baselayer on days with temperatures in the low-forties. Rounding out this category was the Canari Optima with seven points. It, too, has a fleece lining on the collar for moisture transfer and warmth, and its looser fit works well with shirt weights that range from the standard thin cycling jerseys to thicker merino wool long sleeved shirts. But our tester found the arms on the shorter side and its ability to keep the cyclist warm in temperatures between the mid-thirties and mid-forties was questionable. Temperature fluctuations are the reason why a cyclist requires a convertible cycling jackets. Once the sleeves come off, they need to go somewhere. In the absence of a pannier or pack, the sleeves need to pack into a pocket. All jackets had the ability to pack into a pocket with some effort but the Gore Element Windstopper Active Shell Zip-Off Lady and Louis Garneau Spire scored the highest in this category with a nine because they packed down to the smallest, neatest size with the least amount of effort. The Sugoi Versa, Pearl Izumi and Canari Optima followed with scores four, six and four respectively. 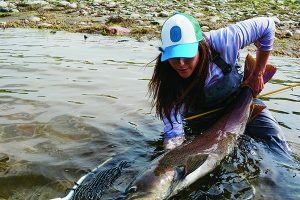 Fabric weight and zippers are critical components of a jacket’s durability. 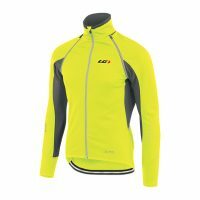 The highest scorers in this category are the Gore Element Windstopper Active Shell Zip-Off Lady and the Louis Garneau Spire, which each scored nine points. The Gore Element was the only jacket that our tester crashed in on a steep mountain bike trail and it emerged without tears or rips. 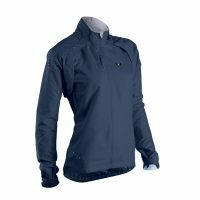 Both the Gore and the Louis Garneau have heavy-duty zippers that didn’t catch on fabric while the Louis Garneau offers a durable Polartec outer softshell. The Sugoi Versa, which scored an eight, has a heavy-duty zipper but lighter-weight fabric. 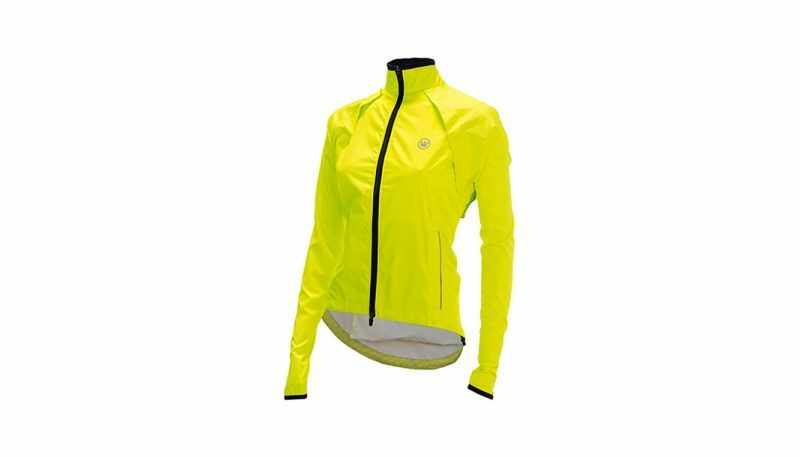 With seven points, the Pearl Izumi ELITE Barrier Convertible had smaller, more lightweight zippers and its mid-weight fabric had a tendency to get caught in the zipper. Unfortunately, our tester accidentally ripped the fabric when it got caught in the zipper. Also, the Velcro tabs could potentially wear out with extended use but would be simple for a tailor to replace. For the price point, the Canari Optima, which scored five points, is made with flimsy zippers that catch quite a bit on the lightweight fabric. 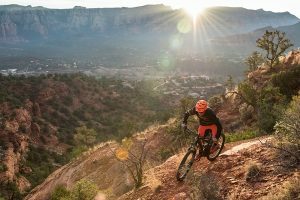 All jackets were tested on mountain bike rides and urban commutes that distanced six miles each way on designated singletrack and urban bike paths. The test period ran from September to November in weather that ranged from cool (low-forties), cold (mid-thirties), rain, wind and sleet. 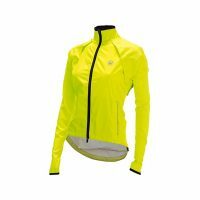 When deciding which convertible cycling jackets to review, I selected price ranges that were all over the board for a reason. A cycling jacket geared for warmth and weather-resistance may be the right jacket for a cyclist living in a cold-weather climate like Minneapolis but overkill for a cyclist in Los Angeles. 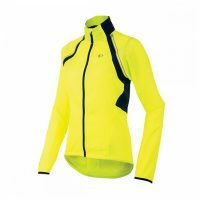 Still, of all the cycling jackets in the test, we were most impressed with the Gore Element Windstopper Active Shell Zip-Off Lady. 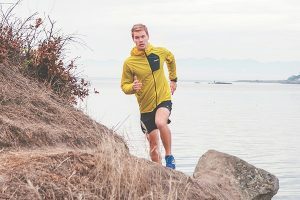 Although not the fastest to convert from jacket to vest and back to jacket (the Sugoi Versa has the fastest conversion time), it is the most impressive because of its breathability, comfort, packability and durability. It hits the sweet spot between warmth when needed and packability when it isn’t, making it a lot of jacket for the money.